Please note: No Financial relationship between HDiQ Dental and any product mentioned in this program exist. Objectives cover both Part 1 and Part 2. Be able to identify clinical situations where an implant can be predictably placed into the site of a freshly extracted tooth with the use of only one drill to complete the procedure. Provide the order in which to proceed in cases involving general dentistry (crown and bridge work) and the five minute implant, abutment and crown procedure. Outline the use of the 1 drill implant procedure as it relates to both overdenture cases as well as simple single unit implant, abutment and crown restorations. 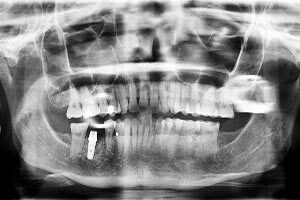 Part 3 - Five maxillary implants using three efficiency techniques with a final prosthetic. Three efficiency techniques with a final prosthetic of a removable, implant retained denture.